It speaks two languages, gives math lessons, tells jokes and interacts with children through the tablet screen in its chest—China's latest robot is the babysitter every parent needs. The "iPal" was among a slew of new tech unveiled at the Consumer Electronics Show Asia in Shanghai this week, offering education and company for lonely children and peace of mind for adults. "The idea for this robot is to be a companion for children," said Tingyu Huang, co-founder of AvatarMind Robot Technology. "When a child sees it, he or she will think of the robot as a friend, as another child in the family." Their 9,000 yuan ($1,400) did not dampen interest from buyers watching a performance of several iPals dancing in unison. "They're pretty cute. I was just thinking my own two-year-old daughter would love one," Mike Stone, a buyer from Australia said. China's young working parents often face the burden of taking care of children or elders without help from a large extended family, as the impact of the country's decades-long one-child policy lingers. The limit was raised to two children in 2016. "I don't think the robots can replace parents or teachers," Huang said. "But iPal can be a complementary tool to relieve some of their burden." China's robot market is also catching onto needs from a growing population of elderly "empty nesters" who prefer to grow old at home rather than at a nursing home. Beijing has invested money and manpower in developing AI as part of its "Made in China 2025" plan. A Chinese firm unveiled the country's first human-like robot, which can hold simple conversations and make facial expressions, during the Consumer Electronics Show in Las Vegas last year. 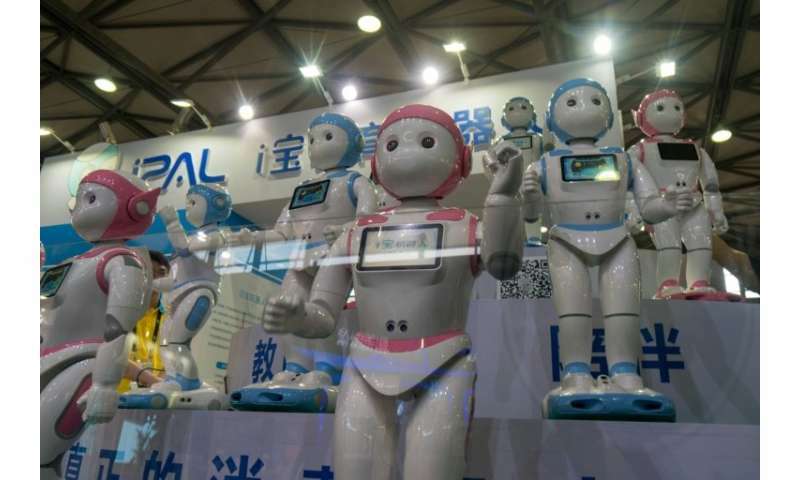 The iPal is the latest humanoid robot to be marketed for family use, following in the footsteps of the diminutive, wisecracking "Pepper" companion released by Japan's SoftBank in 2015.